Zillow has unveiled its annual ranking of the Best Cities for Trick-or-Treating, and—unlike swarms of trick-or-treaters dashing door to door—the top 5 haunts on this year’s list have hardly moved since last year. The most spooktacular shift? Philadelphia, last year’s No. 13, scaring San Francisco down from No. 1 to No. 3. Who said 13 was unlucky? 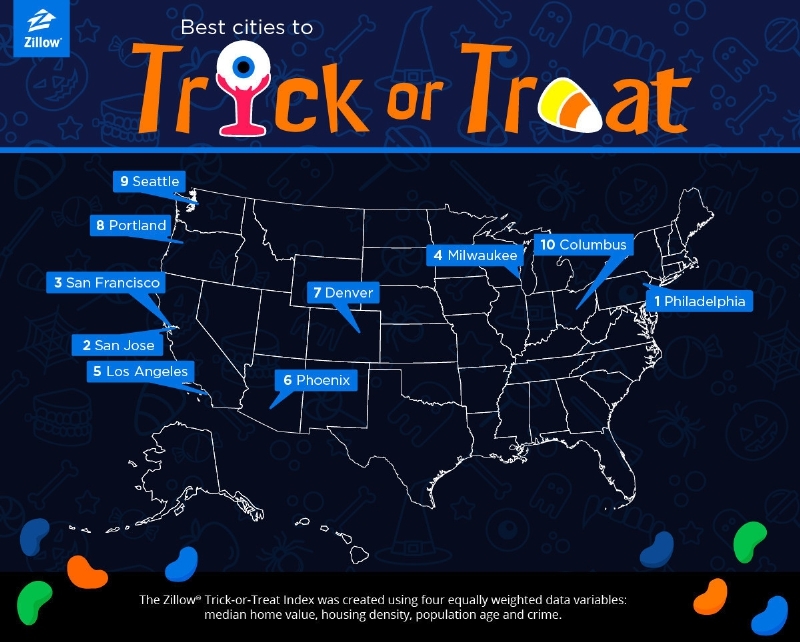 The ranking, based on factors such as concentration of homes and under-age 10 population, also dug up the best trick-or-treating neighborhoods in each of the top cities—an important distinction for discerning sweets scavengers. In Philly, those neighborhoods are (in order): Cobbs Creek; Frankford; Logan; Germantown East; and Fairmount. Will droves of trick-or-treaters descend on your city this Halloween? The complete ranking of the top 20 cities is available here. Looking for somewhere to spend Halloween night in Paris? 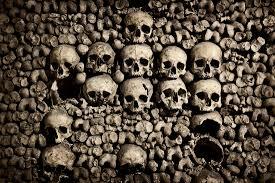 How about the catacombs? Yes, we’re serious! Thanks to airbnb, two (un)lucky guests will get the chance to have the ultimate slumber party—for free! Contest winners will rest alongside six million other souls inside the world’s largest grave site. Creepy! For an unforgettable Halloween, tell the host before midnight October 20th why you think you’re brave enough to sleep in the catacombs.